“Here begins our tale: The empire, long divided, must unite; long united, must divide. Thus it has ever been.” This opening adage of Romance of the Three Kingdoms, China’s classic novel of war and strategy, best captures the essential dynamism of Chinese geopolitics. At its heart is the millennia-long struggle by China’s would-be rulers to unite and govern the all-but-ungovernable geographic mass of China. It is a story of centrifugal forces and of insurmountable divisions rooted in geography and history — but also, and perhaps more fundamentally, of centripetal forces toward eventual unity. This dynamism is not limited to China. The Scottish referendum and waves of secession movements — from Spain’s Catalonia to Turkey and Iraq’s ethnic Kurds — are working in different directions. More than half a century after World War II triggered a wave of post-colonial nationalism that changed the map of the world, buried nationalism and ethnic identity movements of various forms are challenging the modern idea of the inviolable unity of the nation-state. Yet even as these sentiments pull on the loose threads of nations, in China, one of the most intractable issues in the struggle for unity — the status of Tibet — is poised for a possible reversal, or at least a major adjustment. The long-running but frequently unnoticed negotiations have raised the possibility that the Dalai Lama, Tibet’s spiritual leader, may be nearing a deal that would enable him to return to his Tibetan homeland. If it happens, it would end the Dalai Lama’s exile in Dharamsala, India — an exile that began after the Tibetan uprising in 1959, nine years after the People’s Republic of China annexed Tibet. More important, a settlement between Beijing and the Dalai Lama could be a major step in lessening the physical and psychological estrangement between the Chinese heartland and the Tibetan Plateau. Read rest of article via Centripetal and Centrifugal Forces at Work in the Nation-State | Stratfor. A Spanish judge issued international arrest warrants Monday for China’s former President Jiang Zemin and former Prime Minister Li Peng for alleged genocide against the people of Tibet, Spain’s National Court in Madrid said. The warrants against them and three other senior Chinese officials are the latest chapter in a long-running lawsuit by pro-Tibetan groups and a dual Tibetan-Spanish citizen who seek international legal action against some Chinese officials. Judge Ismael Moreno issued the arrest warrants for alleged “genocide, torture and crimes against humanity,” and ordered them to be sent to Interpol, the international police agency, according to a copy of the order viewed by CNN. The former officials will surely not be arrested in China, but there’s a “medium chance” of them being arrested if they go abroad, “depending on the country and its ethics,” said Alan Cantos, president of the Barcelona-based Tibet Support Committee. Cantos expressed satisfaction with the judge’s order, which his group has been pushing with its co-plaintiffs: the House of Tibet Foundation and Thubten Wangchen Sherpa Sherpa, a Tibetan who has lived in Spain for about 20 years and has Spanish citizenship. “It shows that justice after all works, against all odds. If you let justice work, victims can have retribution,” Cantos said. 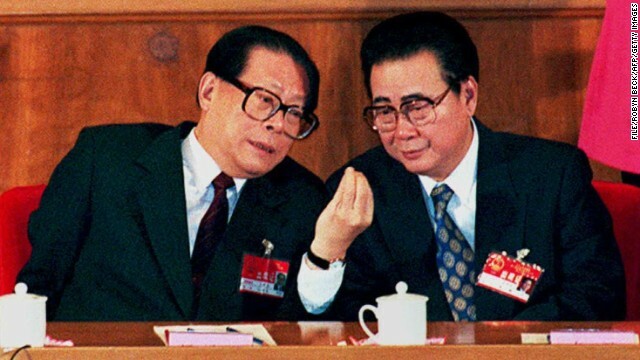 via Spanish judge issues arrest warrants for China’s former President, PM – CNN.com. Mexican frozen food company Sigma and Shuanghui International Holdings of China have signed an agreement to share ownership of Spanish meat processor Campofrio (CPF.MC), cooling hopes of a bidding war. The deal, which values Campofrio at 700 million euros ($957 million), is the latest in Spain by Latin American buyers keen to tap into an economic turnaround and among only a handful of commitments by Chinese companies in major listed Spanish firms. Campofrio\’s shares hit a 52-week high this month on expectations that Shuanghui would make a higher bid after Sigma\’s November takeover offer of 6.8 euros per share. via Spanish meats group Campofrio gets new foreign owners | Reuters. Santander (SAN.MC), Spain\’s largest bank, is to buy HSBC\’s (HSBA.L) 8 percent stake in Bank of Shanghai, just as many international rivals are beginning to sell out of China. Santander, which already has a consumer finance venture in China as well as a car financing business, said on Tuesday the Bank of Shanghai deal also included a cooperation agreement, taking the value of its investment to 470 million euros ($647.3 million). Several major U.S. and European banks including Bank of America (BAC.N) and Switzerland\’s UBS (UBSN.VX) have started shedding their Chinese holdings for a variety of regulatory and business reasons. via Santander ups bet on China with Bank of Shanghai stake | Reuters. 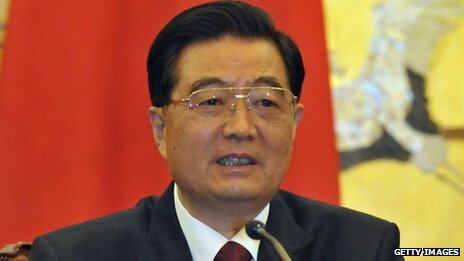 via BBC News – Spain probes Hu Jintao ‘genocide’ in Tibet court case. The Times: “The eurozone was dreamland for the formerly impoverished fringe of southern Europe. To share the same currency as the powerful Germans and French was a sure sign that the bad times — of dusty villages emptied of menfolk — were over. They bought German cars, borrowed money to build villas and said farewell to centuries of emigration. Now, as dreamland turns to nightmare, young Portuguese, Spaniards and Greeks are on the move again, travelling in search of work and security to countries they had previously treated with contempt or indifference. People from the PIIGS — Portugal, Ireland, Italy, Greece and Spain — are heading for the BRICs — Brazil, India and China but not Russia — as the global turmoil creates a new trend: reverse migration. The movement of peoples began in earnest at the outset of the financial crisis three years ago, as the strong-growth cultures became a magnet not only for European adventurers but for well-educated native-born emigrants returning home. The rapid unravelling of the PIIGS has, however, made this an act of desperation for many. Across the globe millions of people are on the move as who is rich, who is poor, who is up, who is down is defined anew. Remarkably, at least 10,000 Portuguese have left for Angola. …Angola was a Portuguese colony for three hundred years, a supplier of slaves to the mercantile class in the 17th century. Today it is Africa’s second-largest oil producer and while not exactly a BRIC — two thirds of its population live on £1.30 a day — it has an energy that has drained from its former colonial master. There are two trends unfolding in the world. The first is that many hundreds of thousands who emigrated from what was once called the developing world to Europe and the United States are now being drawn back by the resurgent economies of their homelands. … Nowadays it is an eerily quiet place with giant razor-wired pens all empty of Mexican illegals. Instead, as the US economy wobbles uncertainly, Mexicans are heading home for work. For the first time since the Great Depression more Mexicans are leaving the US than entering it — and most of them are finding jobs. There is huge reverse migration, too, by overseas Chinese and Indians. Almost 135,000 Chinese students returned home in 2009-10 after finishing their education abroad, an increase of 24.7 per cent. Zhang Peizhuo, a 45-year-old chemical researcher who stayed in Britain for 12 years after graduating there, has now gone back to China, in part because of government incentives. “Huge growth potential and increasing government subsidies have made returning home to start a business an attractive option for many overseas Chinese,” he said. 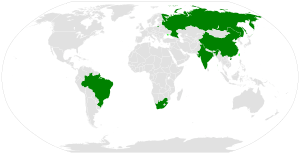 via The world turned upside down: how workers are moving from PIIGS to BRICS | The Times.